Wietske Maas » Food for the City. A future for the Metropolis. Edited by Brigitte van der Sande, NAi Rotterdam / Stroom Den Haag, 2012. Food for the City. A future for the Metropolis. Edited by Brigitte van der Sande, NAi Rotterdam / Stroom Den Haag, 2012. Published in the context of Foodprint. Food for the City programme of Stroom Den Haag. The book was launched on 5 April 2012. In 2050, 9 billion people will be citizens of the planet and 75% of the human population will be living in cities. If we keep going as we are we’ll need several planest for the production of human sustenance. 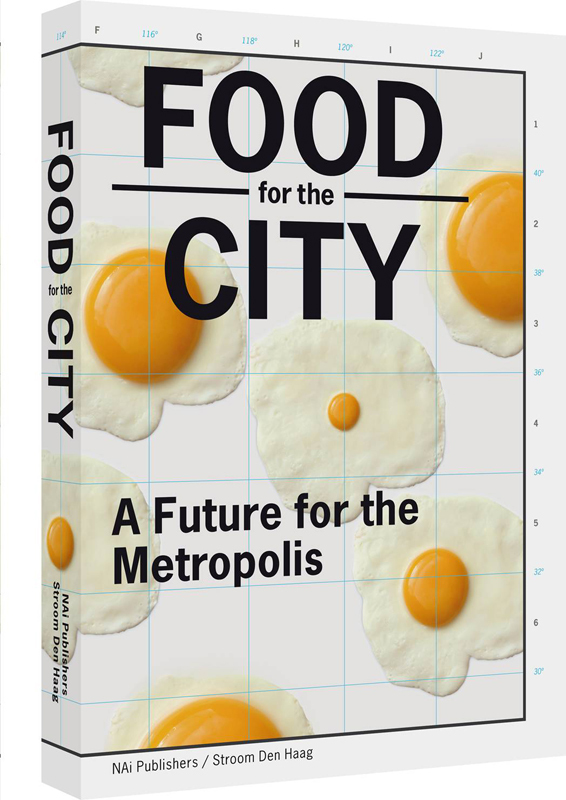 Food for the City examines how we can feed our cities in the future. The last 10 years has seen a shift from food as a subject reserved for experts. 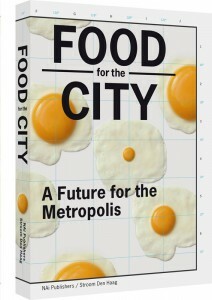 Food for the City presents 13 visions from across the globe on the future of food in the city in the year 2050. It includes the Manifesto of Urban Cannibalism (Amsterdam declaration) — by Wietske Maas and Matteo Pasquinelli which is a scenario of urbanibalist intuitions for the urban food chain of the future. In addition, a timeline from 2050 BC to 2050 CE and a pictorial essay give the reader a look at food and how it has occupied people over the millennia. The activist, the industrialist, the philosopher, the chef, the architect, the farmer, the artists offer their/our views to rethink the way we occupy the planet and the future of living edible matter in the metropolis.